In 2015, I read 53 books, verifying to myself that I could, indeed, read 50 books in a year. For 2016, I gave myself a break and set a goal of 40. If all pans out by New Year’s Eve, I will have finished 46 books (45 on paper, one audio). Of those, I chose ten favorites with ease. Numbering them 3-10 was even easier, but depending on the day, my top two choices could be swapped. It could go either way. That’s what happens when a book reaches Ken Follett and Khaled Hosseini levels. Those books have their very own shelves. To be on my Top Ten, the book has to be all-consuming. Not only does the writing have to be fluid and paced, the plot has to be imaginative and addictive. The book has to take over my whole brain so that I’m thinking about it while I’m driving and running and I must ten minutes here and there to read. It has to hit me in the gut or keep me up at night or break my heart. I want to feel it. The genre doesn’t matter. On this list are thrillers, post-apocalyptic stories, fantasy and contemporary narratives, well-known authors, not-so-well-known authors, and subject matters that range from fashion and terrorism and murder to historically and culturally specific events. Each book is linked to my original review. Enjoy, and Happy Reading in 2017! 10. 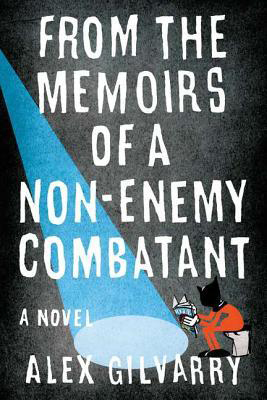 From the Memoirs of a Non-Enemy Combatant. Funny, quirky, and strangely troubling as it pertains to our national security. All Boy Hernandez wants to be is a fashion designed. How unfortunate to be mistaken for a terrorist! Be careful who you trust! 9. Station Eleven. This was the first book I read in 2016 and it was such a great choice! Though I’m not usually into post-apocalyptic fiction, I found Station Eleven to be endearing and unique in its focus on a traveling symphony in a post-apocalyptic reality. When there is no electricity, no means of transportation, and no way to communicate with one another, you must whittle humanity down to its very basic form and see what survives. 8. Long Man. Set over the course of three days in 1936, Annie Clyde Dodson refuses to surrender her property to the government and the TVA. It doesn’t matter that it will all be under water soon anyway. She won’t do it. But just when her resolve reaches fever pitch, her three-year-old daughter Gracie goes missing. With all her might, Annie Clyde must keep the government at bay and find her daughter alive. The pacing of this book is so steady, so even. It was hard to put down. 7. Mr. Penumbra’s 24-Hour Bookstore. Clay lands himself a job at a bookstore and immediately knows the place is super weird. The contents, the layout, the patrons. All weird. But he needs the job so he can’t be picky. It isn’t long before Clay is swept into a centuries-long adventure that feels like an Indiana Jones movie. This book gets extra points for its attention to detail in typography. Design nerds will love it. 5. Tell the Wolves I’m Home. Having just read this one, it is still fresh and tender in my mind. It is 1987 and June Elbus has just lost her uncle to AIDS, a confusing and troubling disease that the 14-year-old doesn’t understand. Finn was a renowned artist and also June’s godfather and closest confidant. While her family just wants to move on with their lives, June is unable to, especially after Toby, Finn’s partner, who is also dying, extends an invite to grieve together. The two develop a secret, sympathetic friendship that teaches June about life and love in more ways than she imagined. 4. The Winter People. This one had me on the edge. Unable to read it at night, I hurried to The Winter People first thing in the morning and read it over the stove top while cooking dinner. When it got dark outside, I put it down. Set in West Hall, Vermont, over two time periods, it focuses on the murder of Sara Shea (1908) and Alice (Present Day), who lives in Sara’s old house and has gone missing. Sara’s old diary has been unearthed, and there are things that happen in the woods behind the house. And then there’s that closet that’s been boarded up, and the strange passageways inside the house that only a few people know about. There are a dozen little mysteries that form one big crazy equation, and Ruthie, Alice’s daughter, sets out to solve them all. IT IS SCARY GOOD. 3. The Snow Child. Having just finished this one a couple of days ago, I’ve pinpointed a new reason why it moved me so. 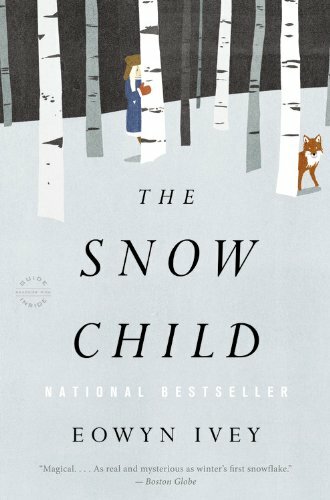 Beyond its magnificent style and elegance, more than its magical setting, The Snow Child tugged on a part of my heart that has long since healed. Infertility is a wretched beast, and the loss one feels when she’s told she cannot bear children is unlike anything else I’ve experienced. When Jack and Mabel, painfully childless, build a girl out of snow, it’s done in fun, with imagination, with a nod to what might’ve been in another lifetime had things worked differently. And yet, when a girl appears in the Alaskan wilderness, the couple doesn’t know what to do with her. Call out to her? Bring her inside? Is she even real? The Snow Child is beautiful in so many ways. If you’re going to read it, make sure you read it in wintertime. 2. The Devil of Nanking. 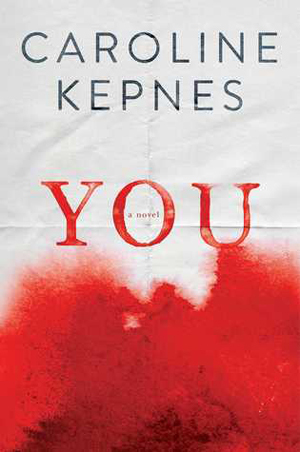 Grey is a 23-year-old Brit who’s traveled to Tokyo to find a survivor of the 1937 Nanking Massacre. She’s spent a decade trying to prove something she believes to be true, and this survivor supposedly has footage of some kind that confirms it. This story is nail-biting and brutal. Like The Winter People, I read it at every free moment. The author is vivid in her details, even the most horrific ones. I’ve never read another thriller like it. It is perfect. 1. The Secret History. 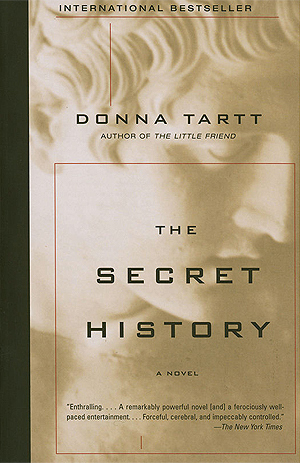 Donna Tartt is good writer. A damn good writer. The Goldfinch proved it, but The Secret History solidified it. Though it’s nearly 600 pages, you don’t even notice it because the pacing is lightning fast. You don’t have time to sit around and wish the book would end already. Richard Papen is our narrator who tells the story of how he and his college classmates killed Edmund, nicknamed “Bunny.” Richard is troubled by what they did and by how they managed it after the fact. We’re all a little mad, but some, I believe, are more mad than others.